« 3/16 – Salad days are here! For the ultimate in fine cooking, you would wait to prep all of your ingredients until just before cooking. But, let’s face it, if we were dealing with the ultimate in fine cooking, someone else would be prepping your ingredients. By prepping, I mean things like washing, peeling, dicing, and the like. 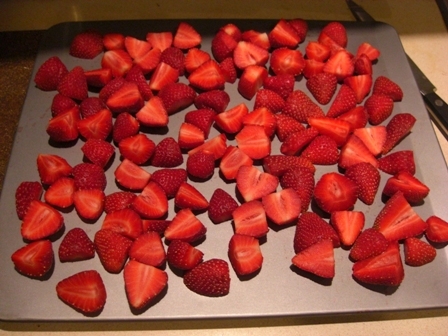 I love frozen strawberries, so I wash, chop, and flash-freeze them. Doing the prepping and cooking in the same stretch of time makes me miserable. Whatever I lose in freshness is worth having things already washed and chopped when I open the fridge to start supper. 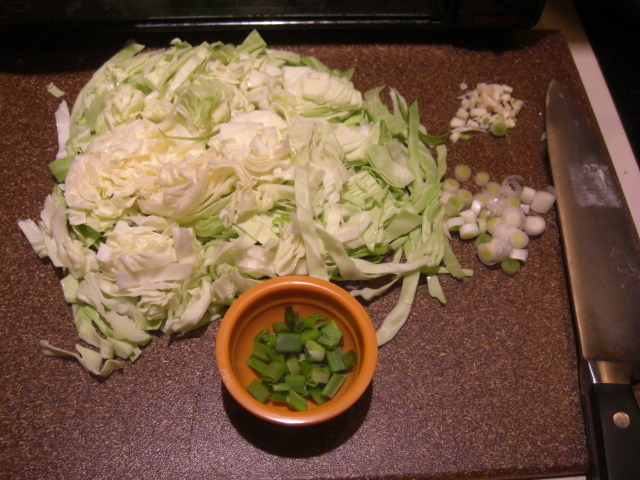 Shred cabbage and chop garlic and green onion. Store separately and then make stir-fried cabbage in 5 minutes. This is especially true on the CSA wagon, where you’re expecting a brand new batch of produce in a week. I find the challenge is eating everything up, not maximizing potential. So many times in seasons past, I would balk at using something for supper because I didn’t have the time or energy to wash and prep it right then. Herbs, lettuce, and greens were the biggest losers. So I’d miss the window one night, and soon it would be next week, and I’d have a whole new batch. The way off this cycle is to prep like crazy and use your prepped stuff the first chance you get. 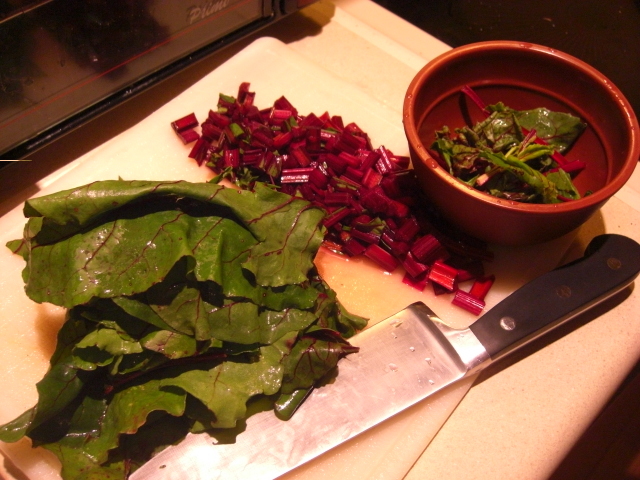 Whenever possible, separate prepping from cooking. It’s a different kind of activity than putting together a meal. Cooking meals involves coordination and timing. Prepping is simpler, discrete tasks. If cooking and prepping don’t go together well, planning and prepping do. So find times to plan and prep and prep everything you can think of. Good tips! I should be doing this for sure. I am starting to feel like the red-headed step child. I still haven’t gotten strawberries! Me neither for two weeks! I got blueberries this week (frozen from last year, I’m guessing).